The death of a loved one is a time of mourning, and funerals provide a way to remember and celebrate the lives of these loved ones with family and friends. At Lindquist Mortuaries and Cemeteries we have over 100 years of experience helping families plan and carry out funerals. We understand that it is an emotional time and can be stressful, which is why we are committed to helping you coordinate the details for a memorial service while you focus on grieving and healing. We will ensure that you have guidance in planning a funeral from start to finish. As the premier mortuary in Clearfield, you can rely on us to help you celebrate the wonderful life and recall loving memories of the departed. We offer a range of services to cover your funeral and memorial needs based on cultural, spiritual, or conventional traditions and preferences. Our company provides all the essentials to fulfill your wishes and honor the life of the deceased, including special requests to honor the life of the person you lost. 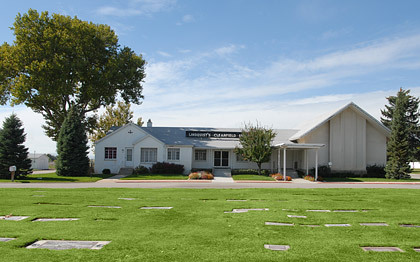 Lindquist Mortuaries and Cemeteries offers everything you expect from a funeral service, with many burial and cremation options so you can find the most suitable one for your personal preference and budget. We have been helping families with their funeral needs for almost 150 years, and we can bring all that experience and expertise to help you create the perfect memorial service for your cherished loved ones. Lindquist mortuary in Clearfield is here to help you understand and plan all of the details so you can spend your time preparing for the service and mourning with your friends and family. Our Clearfield mortuary is here to help you through the logistics of funeral planning so you can focus your energy on celebrating the life of your loved one.